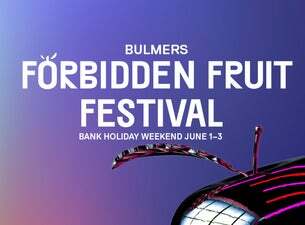 The 9th instalment of Dublin’s city centre multi-stage music and arts festival, Bulmers Forbidden Fruit Festival marks the start of the summer festival season, and the gorgeous grounds of the Irish Museum of Modern Art will once again play host to this hotly anticipated three-day festival. We’re way too excited to keep our first batch of acts under our hats - so let us tell you who’ll be taking to the stage on the June Bank Holiday Weekend 2019! Over three decades the lifelong friends that are the members of ELBOW have created one of the most remarkable stories in British contemporary music. We are thrilled to have this incredible band headlining the Monday of Forbidden Fruit 2019. Having always had such a fierce legion of Irish fans - this is sure to be a very special show, hopefully with some fan favourites in the mix with the likes of ‘Lippy Kids’, ‘One Day Like This’ and ‘Mirrorball’. We’re super excited to announce that one of the hottest rising stars of the grime world, the hugely talented SKEPTA will be joining us next year. Since emerging as a producer and MC in 2004, Skepta has become one of the most significant British artists in music today. The Mercury Prize winner and BRIT Award nominee has built a diverse audience through both recordings and live performances, and his enduring influence is felt throughout contemporary culture. Next up it’s the turn of MURA MASA, the stage name of British producer Alex Crossan. Last year he headlined the debut All Together Now and having collaborated with Christine & The Queens, Damon Albarn, ASAP Rocky, it’s been quite the year for Crossan so keep a watchful eye for more things to come! Swedish sibling duo FIRST AID KIT will play on the on the Bank Holiday Monday of Forbidden Fruit. Following a stellar performance and seriously impressing Irish crowds at the inaugural All Together Now - this is a welcome return for the folk-pop sisters. In September of this year, they released a new EP titled ‘Tender Offerings’ so we can expect to hear some brand new live tracks. JON HOPKINS has been an elusive character, known to most as an expert producer, Ivor Novello-nominated composer of film scores, remixer and long-term collaborator of Brian Eno and Coldplay. Yet, as Hopkins freely admits, the fact that his solo albums to date have been rather overshadowed by his work with others has meant that he’s been able to quietly develop his own identity, style and sound. We are delighted to welcome him to this year’s festival for a very rare DJ set. This is sure to be a must-see set! Detroit rapper DANNY BROWN will once again take to the Forbidden Fruit stage following his highly anticipated, crowd-pleasing set at Forbidden Fruit in 2017. His fourth studio album ‘Atrocity Exhibition’ was among one of the highly praised hip-hop projects in 2016. Atrocity Exhibition is heralded as one of the freshest and boldest-sounding rap albums in recent years, inspired by the work of Talking Heads and Joy Division that nonetheless sounds like nothing else. Along with contributions from producers like Evian Christ, Petite Noir, Black Milk and The Alchemist. Newer to the scene, but not to be underestimated, 24-year-old Jordon Alexander aka MALL GRAB is breaking all kinds of moulds on his rapid rise to recognition on the world stage. Expect original house and techno material from this energetic newcomer. Fresh from a fully sold out 8 show Irish tour it’s clear to see that Irish audiences have their finger on the pulse! MARIBOU STATE are English live electronic group, headed up by Chris Davids and Liam Ivory. Playing the ‘Something Kind of Wonderful’ stage at this year’s All Together Now with their sonic landscapes and now with their second studio album ‘Kingdoms In Colour’ under their belt, this is one act you should make sure to catch! Berliner PAUL KALKBRENNER is a unique international talent. With eight studio albums under his belt and more than 2.3 million Facebook fans, he is one of techno’s biggest superstars. Most famous for his platinum-selling track Sky & Sand which sold over 200,000 copies - Kalkbrenner is renowned for his live shows. Released in May of this year, ‘Parts Of Life’ is the eighth LP from the German producer and the first since 2015's 7, his major label debut. It was inspired in part by his 2016 mixtape trilogy Back To The Future, through which he highlighted the late '80s and early '90s dance tunes he once collected as a teenager in Berlin. Making their Irish debut the French duo POLO & PAN, “Polocorp” (Paul Armand-Delille) and “Peter Pan” (Alexandre Grynszpan) brings us an illuminating and colorful pop. Funky and booty shaking. After their hit “Canopée” Polo & Pan recorded their first album Caravelle. From Montreal, HOMESHAKE will perform at Forbidden Fruit for the first time. Previously a guitarist with Mac DeMarco's touring band this is the solo project from Peter Sagar. Combining elements of yacht rock and synth-pop sounds he brings his endearing and charismatic charms to the stage. His third album 'Fresh Air' has similar electro-R&B sounds to his previous two albums ‘In The Shower’ and ‘Midnight Snack’. Expect laid back vibes, soulful vocals and plenty of personality from Sagar. British producer ROSS FROM FRIENDS aka Felix Clary Weatherall will join us for next years Forbidden Fruit outing. His debut album ‘Family Portrait’ is out now on Flying Lotus’s label. Growing up listening to his Dad’s taste in music from 80’s dance and disco and inspired by those synthesisers and drum machines, Weatherall has been making music in various forms from a young age, both in bands and solo. With extensive European and international tour dates, an ever growing fanbase and his rapid popularity, it’s clear to see his continued rise looks set. Catch the beautiful 'atmosfolk' of Irish duo SAINT SISTER as they bring their soulful vocal harmonies, dreamy synth and electro-acoustic harp to the Forbidden Fruit stage for the first time. With the release of their debut album ‘Shape of Silence’ earlier this year, along with extensive touring and collaborations with fellow Irish acts such as Jafaris and Kormac - their sound has matured and developed, further cementing the fact that this duo are ones to watch.